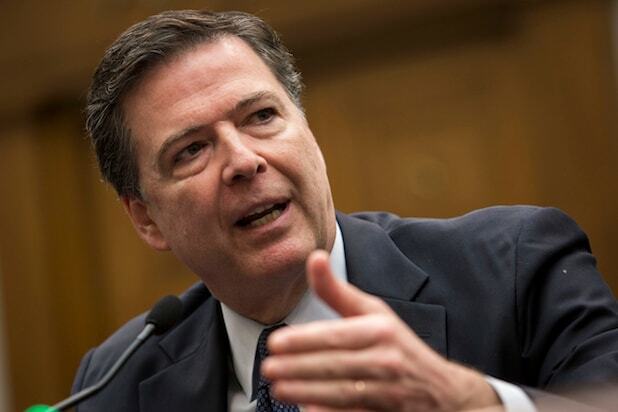 The FBI’s 11th-hour hack of a terrorist’s iPhone won’t work on more advanced models, Director James Comey said late Wednesday, an admission that augurs the possibility of another standoff between the agency and device giant Apple. Last month, the U.S. government abruptly dropped its high-profile suit against Apple when a last-minute hack from a third-party cracked the device’s data. The case was moot, the Justice Department said then, because the FBI no longer needed to force Apple’s help bypassing the lock on the phone used by Syed Farook, one of the perpetrators of December’s deadly San Bernardino, California, mass shooting. But Comey said that hack won’t work on more advanced models of iPhone. “The world has moved on to [iPhone 6 models] — this doesn’t work in 6’s, doesn’t work in a 5S,” Comey said of the flaw the FBI exploited to access the shooter’s phone. He was speaking during a question-and-answer session after a speech at Kenyon College. “We have a tool that works on a narrow slice of phones,” he said. The iPhone 5S was released at the same time as the 5C — the model in the Farook case — but it has a more powerful processor and other differences from the 5C. Apple released its iPhone 6 model in 2014 and iPhone 6S last year. But the Justice Department has multiple cases involving locked iPhones. At least one suit, related to a drug trafficking case in New York, involves an iPhone 5S, a model Comey said the FBI isn’t able to breach using the same method used on Farook’s iPhone. A federal judge in that case sided with Apple, but as of the end of March, the Justice Department was in the process of appealing that decision. During the Q&A session, Comey also indicated that the government paid for the tool to hack the San Bernardino phone. “The FBI is very good at keeping secrets, and the people we bought this [tool] from, I know a fair amount about them, and I have a high degree of confidence that they are very good at protecting it,” he said.